HOW WELL DO YOU KNOW SSL? If you want to learn more about the technology that protects the Internet, you’ve come to the right place. SSL Labs is a collection of documents, tools and thoughts related to SSL. 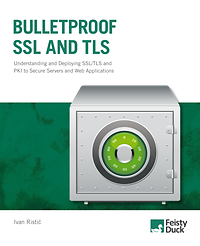 It's an attempt to better understand how SSL is deployed, and an attempt to make it better. I hope that, in time, SSL Labs will grow into a forum where SSL will be discussed and improved. SSL Labs is a non-commercial research effort, and we welcome participation from any individual and organization interested in SSL.